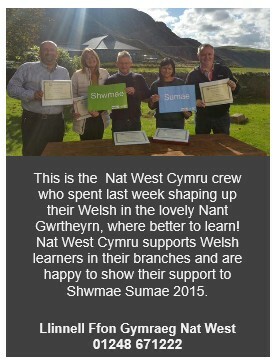 NAT WEST CYMRU SHOUTS OUT SHWMAE SU’MAE! NatWest Cymru will be supporting ‘Diwrnod Shwmae Su’mae’ this Thursday, October 15th in every one of its branches throughout Wales. 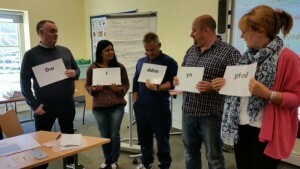 The company, which has received accreditation from LlesCyf on its Welsh language services, is proud of the opportunity to show its commitment to the language. 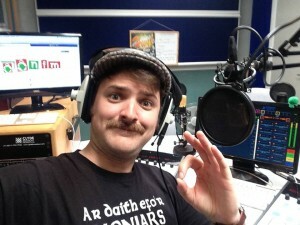 “We see ourselves as a community bank with a strong element of Welshness in our ethos and with the Welsh language central to that ethos and we are delighted to have the opportunity to co-operate with ‘Diwrnod Shwmae Su’mae by extending a warm Welsh welcome to a wider audience”. Mark explained how the company’s relationship with Lles had helped it to develop its Welsh language services. Director of Lles, Evan Powell sees NatWest Cymru’s positive attitude towards Welsh as a turning point in the language’s relationship with the business world. “For too long now Welsh groups have viewed the business world as a field which is generally not supportive to language development because of cost factors. 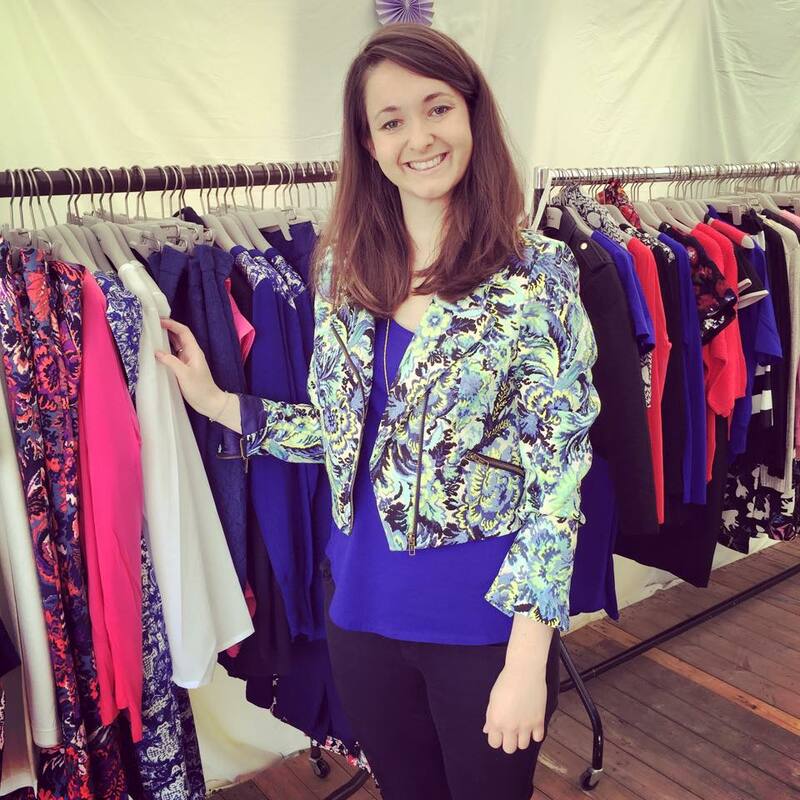 Now Lles are assisting companies to adopt a far more positive attitude towards the language and see it as a commercial opportunity which compliments the good work that they already do. NatWest Cymru’s support is a big boost to ‘Diwrnod Shwmae Su’mae’ according to Gaynor Jones who helps to co-ordinate the event. 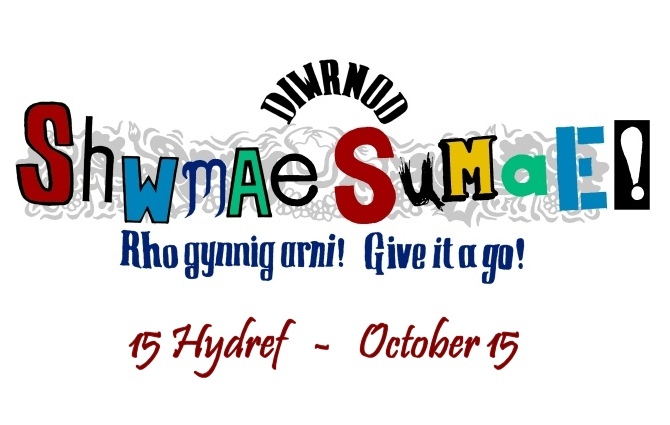 ‘Diwrnod Shwmae Su’mae’ will be held nationally on Thursday 15th October. 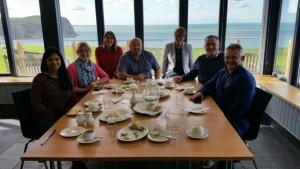 For more information on the events happening in your area contact Gaynor Jones via gaynor.jones@dathlu.org and on how to develop or promote your Welsh language business services contact Lles via gwybodaeth@lles-cyf.com. Mentrau Iaith Cymru (an organisation that supports the work of the 23 mentrau iaith across Wales) has created a series of phrase cards to be distributed to business’ in every corner of Wales, be it shops, pubs, cafes and offices in an attempt to encourage more people to use Welsh. 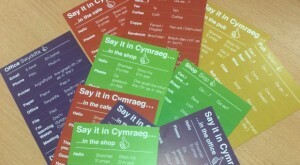 The phrase cards have been created to celebrate Shwmae Su’mae Day held on the 15th of October this year – a day that encourages everyone in Wales to live, learn and enjoy Welsh. The Scarlets and Welsh Whisperer shout out Shwmae Sumae 2015! 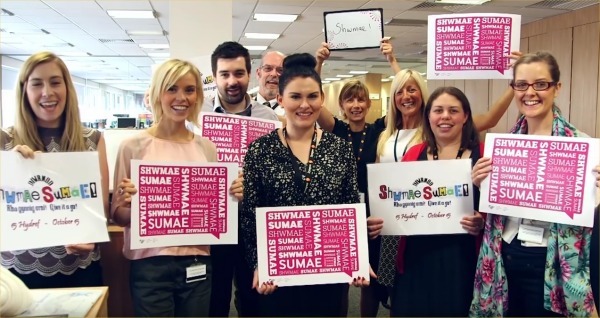 Thursday, October 15 will be the third time Wales will be celebrating Shwmae Sumae Day and once again a huge variety of activities are being held across the country to encourage everyone to greet each other in Welsh on that day and give Welsh a go. 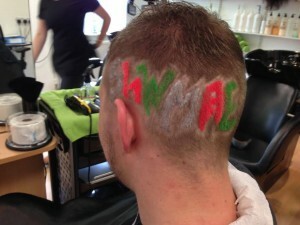 – and consequently encourage the use of Welsh every day and all year round. The campaign has been very lucky to be supported by a variety of people and organizations. 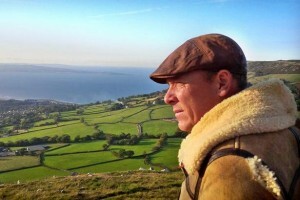 This year our champions are the Welsh singer and entertainer the Welsh Whisperer, Gareth Wyn Jones, farmer and broadcaster from Llanfairfechan, Canolfan Soar who have revitalised the economy and the Welsh language in Merthyr Tydfil and Angharad Williams who run a ladies’ fashion business in Lampeter and Machynlleth. Scarlets RFC will also be supporting Shwmae Sumae 2015 by holding an evening of entertainment on the following Friday, October 16 before the Leinster game. 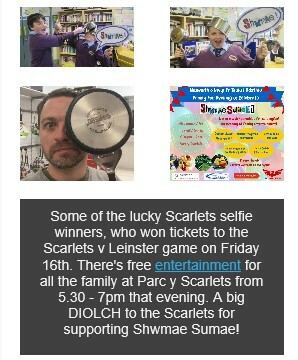 With the co-operation of Menter Gwendraeth Elli and others and Y Lle – Llanelli’s new Welsh language centre an array of entertainment will be put on for the whole of the family from 5 – 7pm before kick off. So make sure you pop over. 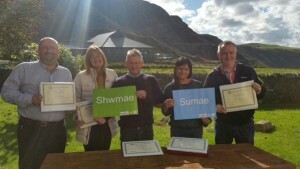 The Pembrokeshire Shwmae crew have organized the second Shwmae Awards awards ceremony after the resounding success of last year’s event. 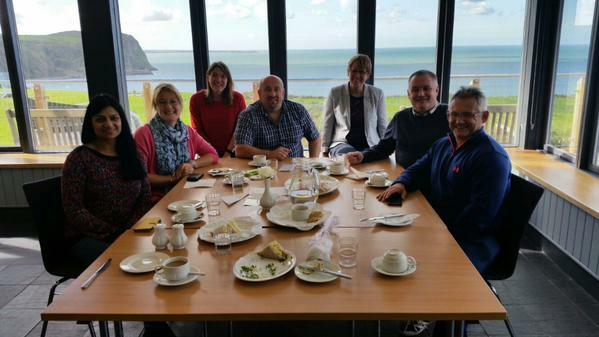 Dathlu’r Gymraeg have seen communities and organisations across Wales take ownership of the day themselves. Its success lies in the enthusiasm of dynamic individuals such as the pupils of Bishop Mcgrath School, Bridgend who take it upon themselves to organise the day’s activities. Shwmae Sumae does not recieve any public funding or sponsorship and has grown from the grass-roots rather than the top down and long may it last! Shwmae and Sumae! It’s September again and we are gearing up for Shwmae Sumae 2015. By the way we are in the national psyche – the Lolfa Diary 2016. Hooray! Shwmae Sumae 2014 was a great success, with celebrations taking place across Wales and beyond – in Pwllheli, Newport, Merthyr, Lampeter, Vienna, Patagonia, Bangor, Amlwch, Derby, Flintshire and Pembrokeshire. Everyone is working hard to raise the profile of the language, but most importantly to use and promote and encourage others to do so throughout the year. Shwmae Sumae Day now has a momentum of its own and is spreading throughout the country via a variety of activities organised by schools, individuals and societies, just like a Mexican wave at the World Cup. It is very difficult to keep a track on all that happened, but by keeping an eye on the feedback on our 2014 Facebook page and Twitter I’m sure that there were over 500 events held in 2014. So lets hope that there will be even more this year. Please contact me if you want to discuss anything and remember – Give it a go!